Long flights are great to read cover to cover the Economist! Flying back home from Singapore provided me with such an opportunity. 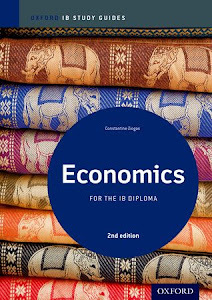 I spotted at least 2 articles that may prove useful for IB Economics (HL and SL) candidates. The first one is titled Concrete benefits: Public investments in infrastructure do the most good at times like the present' and is in the October 4th issue of the magazine/newspaper. It is a primer on the role of infrastructure spending, complete with explanation and discussion/ evaluation and is it based on a new study by the International Monetary Fund, released as part of its half-yearly “World Economic Outlook”. The whole chapter can be found here (and is worth skimming through at least) and the press release here (which is only one page). 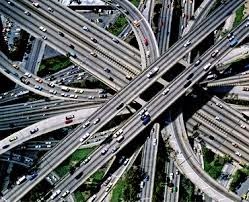 Public infrastructure is one of the few forms of government spending that both liberals and conservatives support. Ports, power lines and schools are essential to the smooth running of the economy. (But)... public investment is at the mercy of the fiscal weather. Cash-strapped governments are loth to pile on debt or raise taxes even for something as popular as a new road. After a burst of stimulus spending in the immediate wake of the recession, public investment has fallen back in the rich world. This is profoundly short-sighted. That is the message of a new study by the IMF. It found that in rich countries at least, infrastructure spending can significantly boost growth through higher demand in the short run and through higher supply in the long run. This is the first important point made: the government expenditure will increase aggregate demand in the short term (as G is a component of AD) but will also shift to the right the LRAS curve as it increases the productive capacity of the economy, decreases overall costs of doing business and (as will be explained later) can lead to 'crowding-in' of increased private investment. You realize that financing an increase in government spending can be through borrowing, through raising new taxes or by cutting some other public spending. How it is financed is also of importance. It also matters whether the project is efficiently undertaken (if a 3-lane highway was financed but because of corruption and waste a 2-lane highway was delivered -as it has happened in Greece- or if the final cost of the project is double the initially budgeted/ planned cost, obviously the net effect on growth will be less). Lastly, when the author writes that it also depends on the 'prevailing economic conditions' he/she implies how large or small the prevailing deflationary gap is i.e. how far/close from potential output the economy is operating. Upfront fixed costs for infrastructure projects are typically high and operating costs relatively low. For these reasons, public infrastructure is often a natural monopoly: a city needs only one local telephone network, electricity grid or sewer system, so they are frequently publicly owned or regulated. What if the 'new road' is financed through taxes? Read on! And, if it is financed through borrowing (issuing new bonds)? The stimulus is heightened when the investment is financed by borrowing: an increase in public investment equivalent to 1% of GDP boosts GDP by 0.9 points in the first year and 2.9 points in the fourth. This would not be so if debt-financed spending inevitably drove up interest rates and thereby diminished private investment. But the effect is bigger in a slow-growing economy, when rates are low and competition for loans subdued. Under those circumstances, a boost in public investment equal to a percentage point of GDP boosts GDP by an impressive 1.5 points in the first year and three points in the fourth. By contrast, in a fast-growing economy, the impact is actually negative in the first year, and only marginally positive in the fourth, suggesting that “crowding out” can indeed be a problem. The above paragraph would be excellent to mention in an essay question asking candidates to explain the 'crowding out' effect or to evaluate expansionary fiscal policy! Still, identifying a general shortfall in infrastructure investment is easier than working out what projects to spend extra money on. Of the seven biggest rich economies, only Germany and America have suffered a clear deterioration in infrastructure investment since 2006. And public investment is easily wasted on vanity projects such as football stadiums or inflated contracts with politically connected suppliers. Even in relatively transparent, democratic places such as America, with lots of bureaucrats to conduct cost-benefit analyses, identifying the most beneficial investments is hard. 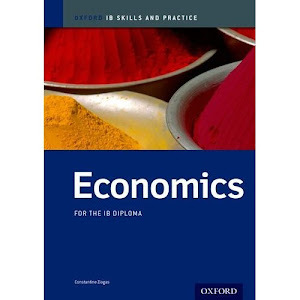 Once again I'd like to stress the need for IB Economics candidates to include examples in their paper 1 essays. The descriptors for attaining Level 4 marks (9 or 10 in part a and 13-15 in part b) explicitly require that 'examples are used effectively' by candidates. With reference to economies of scale, and using examples, explain the meaning of the term “natural monopoly”. Explain, with reference to the concepts of leakages (withdrawals) and injections, the nature and importance of the Keynesian multiplier. Evaluate the view that increased investment is essential to achieve economic growth. Explain the mechanism through which expansionary fiscal policy can help an economy close a deflationary (recessionary) gap. Explain how increased and improved infrastructure will have a short-term impact on aggregate demand, but more importantly will increase LRAS. How close to its NRU is the US economy?